Norwegian Garage Doom done right. If you’re reading this in a hurry, I’ll sum it up for you right from the get-go: Magmakammer freakin’ rocks. They bear a more-than-passing resemblance to England’s premier horror-rock outfit, Uncle Acid, but that is meant in the most complimentary way possible. The undeniable influence of the Deadbeats aside, this album absolutely cannot be dismissed as a mere imitator. It is worth every moment of your attention. 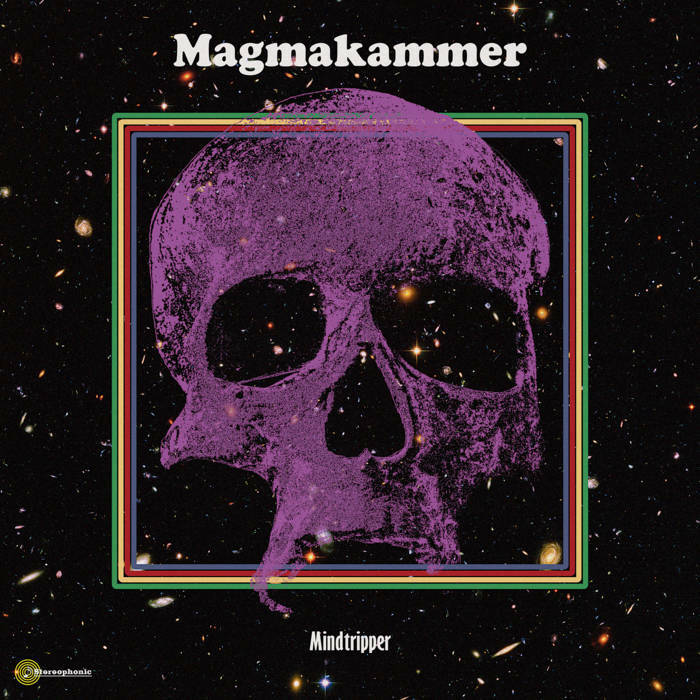 Despite releasing a demo in 2015, Magmakammer, a name which literally means magma chamber, seemingly burst very suddenly onto the stoner rock scene on September 28 with their retro-recorded, intentionally lo-fi debut album, Mindtripper. And if you let them, band mates U.H. Jacobsen (guitar, vocals, keys), Stian Solberg (bass), and Lasse Røed (drums) will happily bring you along on this very worthwhile Mind Trip of theirs. Mindtripper may take pages out of the Uncle Acid playbook, but they definitely carve out a unique space within it. Fuzzy melody-laden riffs, smooth bluesy solos, and a few drops of spacey atmosphere make this debut album stand out among the crowd. Their Bandcamp page lists their genre as Psychedelic Garage Doom, and that description hits the nail firmly on the head. The album opens with an oscillating synth whine before launching into Druggernaut, a rocking fuzz tune with a faux-parade march cadence that keeps the rhythm section busy. It doesn’t take long for U.H. Jacobsen to show us his chops, with solid rhythmic chunking, smooth solos, and obvious good taste in guitar tones. And it becomes readily apparent that the Deadbeats are not the only well-known English rock outfit that Magmakammer owes a bit of tribute to… The Sabbathian influence is worth a nod here as well. Personally, my favorite would probably have to be Mindtripper, the album namesake and centerpiece. 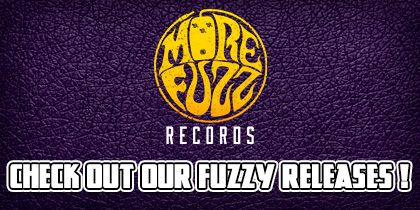 At just over 5 minutes, this is a “just right” length for the spacey, groovy, doomy, ooey-gooey stoner rock jam, with its 70’s synth and rocking psychedelic main riff, complete with a trippy guitar solo. Please, do yourself a serious favor and check this song out. It took probably two listens to lodge it firmly in my brain, but now I can’t seem to stop humming it. Lastly, I want to pay tribute to Cosmic Dancers. And no, not the ones from last night’s trippy fever dream. The album closer for Mindtripper is a seven-plus minute jam that you do not want to miss. Dynamic, spacey, with a great, catchy riff. It closes the album out and leaves me salivating for more… which is absolutely the right way to go about ending an album. Bands like Magmakammer are the reason I’ve always wanted to write about music. They’re a band whose songwriting ability and raw talent are worth much more than the attention they’re currently receiving. And anything that can be done to draw more interest in this band and this kickass album that they’ve given us is just great to be a part of. Seriously, check this album out. It took a second listen to really hook me, but now that it has, I’m loving every second of it. Magmakammer serves up a rocking slice of psychedelic doom.